In a recent article in The Spectator magazine in the UK, the evangelical leader Patrick Sookhdeo takes a swipe at Muslims and their religion. Does his case stand up to scrutiny? Patrick Sookhdeo’s article (July 30, 2005) in London’s The Spectator, “The Myth of a Moderate Islam” reflects a dangerous trend in the war on terror. Under the guise of informing Westerners about Islam, he is in fact spreading the very same disinformation that anti-Islamic polemics have been based upon for over 1,000 years. This plays directly into the hands of Osama bin Laden, Abu Musab al-Zarqawi and others, for it encourages the “clash of civilizations” they so appallingly desire. It is indeed of the utmost importance that we learn more about Islam and fight the scourge of extremism with all the tools possible. But Sookhdeo and those like him corrupt this process, seeking to advance their own agenda by turning the war on terror into an ideological war against Islam. 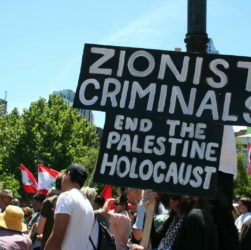 This article was written to provide a scholarly analysis on the ideology of Zionism, its origins and purpose, as well as its past “achievements” in having successfully displacing thousands of Palestinians who suddenly lost their homeland to this group of terrorists. We seek to confront and expose the true nature of the ideology of Zionism, often touted as “Jewish nationalism”. Can Zionism be equated with the Jews and Judaism? Is Zionism wholly grounded on religious grounds as the Zionist themselves try to claim, or just another name for the secular and/or racist ideologies that we have seen in the last century in the likes of Nazism, Fascism and Apartheid? These are the fruits of our research on the Israeli-Palestinian conflict, and we leave it to the reader to form their own conclusions and decide whether Zionism should be rightfully confronted and opposed, or otherwise. 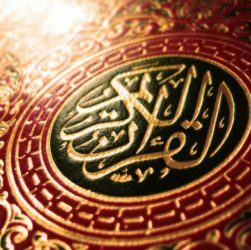 This paper is intended to respond to atheistic criticism as proposed by Richard Carrier, in a rather large piece that is in my personal opinion and understanding, replete with errors and misunderstandings with regards to basic cosmological concepts, the Islamic viewpoint, as well as history. I also address a few polemics that were put forward by Freethought Mecca. 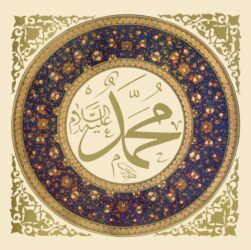 Their article contains the particular objections that I shall address Insha’Allah, along with a spurious argument for Isaiah and then a few links to some other polemical sites; needless to say at least for now these few objections are the only ones that are relevant to this particular paper. Recently Sam Shamoun, a well-known belligerent and provocative Christian missionary at Answering Islam, issued a challenge to Muslims to prove that Jesus (peace be upon him) did not claim to be God, as per the Qur’anic statement. It is obvious, however, that his demands are as preposterous as it is stupid. 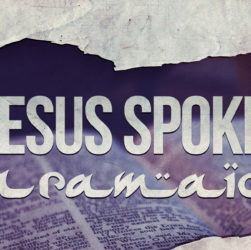 The Qur’an certainly quotes or paraphrases Jesus as saying that he is not God, but in Arabic. This is because the Qur’an has affirmed itself to be revealed in Arabic text, sent down to an Arab prophet, lest its audience uses the excuse that they will not be able to understand the Qur’an if were brought down in a foreign tongue. Mary, The Sister Of Aaron?